With-Manie lives in extreme poverty with her parents and older sister. Having no money for school tuition, she did not receive any education until she came to the Kids Alive school. Despite this, she is making good academic progress, and especially enjoys music class. 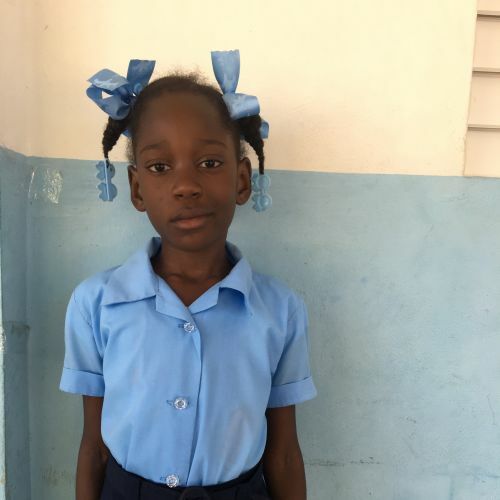 Her favorite activities are dancing and singing, but most importantly, she now hears daily about the love and hope found in Jesus.